Ryn is anxious to get home but finds herself stranded at the Denver airport on New Year's Eve. She needs to get home before 10:05 AM the next day because that is the anniversary of her best friend's death at the hands of a drunk driver. Ryn has been in counseling to deal with her grief but hasn't told her counselor some things including the fact that she has conversations with Lottie and that she hasn't opened Lottie's last text to her because as long as she has that, there's still some hope. At the airport she (literally) runs into a boy named Xander and they end up mixing up their phones because they have the same cases. Ryn only cares about somehow defying the storm and getting home, but fate - and Lottie - seem to keep putting her together with Xander who has his own secrets. I eagerly snatched up Brody's new book but found myself reading something totally different from her usual fare. 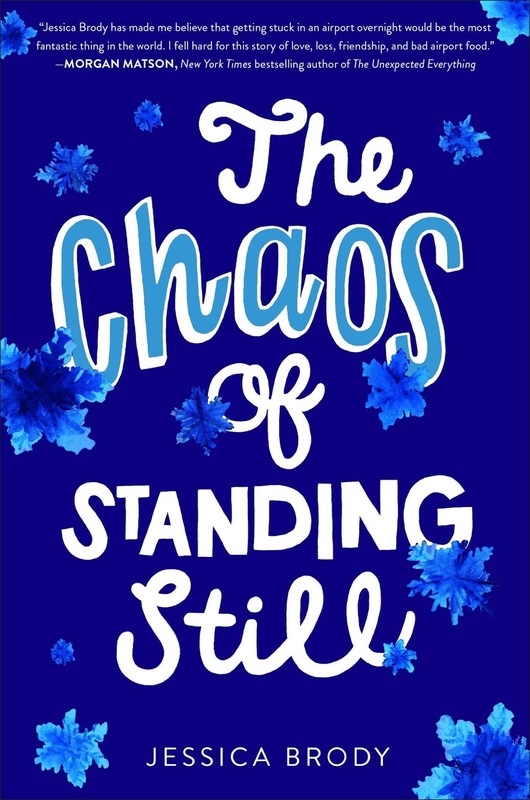 The Chaos of Standing Still is a serious story about letting go and figuring out your identity after a devastating loss. It's also about Xander and his relationship with his parents which needs some repair. The bones of the story remind me of The Sun is Also a Star but I enjoyed that book more than this one. However, it's difficult for me to offer a completely objective critique since the story was not at all what I was expecting and I'm sure that's shading my opinion. If you're looking for a story of healing, growth and soulmates, this is a good choice for you.